A status report is an important statement that shows the current standing of a particular activity. People have Microsoft Office tools to create templates that they can use for writing status reports for a long time now, and I will tell you getting started with such package is not easy for sure. This is because you have to create an outline from scratch, customize it to look suitable for your business or to you as an individual before you can even start using it. 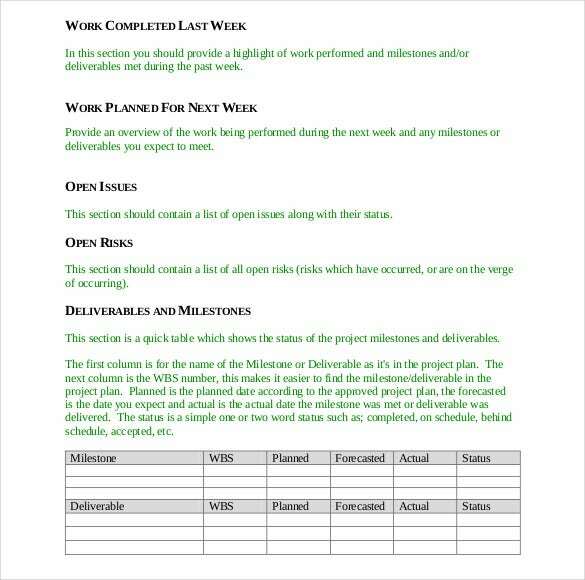 Using project report template is a perfect alternative to creating a template of your own from the status. They are best because then you never have to worry about creating a template from scratch; all you have to do is to key in your data and you are good to go. The general advantage of a template is that it usually provides an outline already, making you less worried about creating an outline especially if you have no idea where to start. 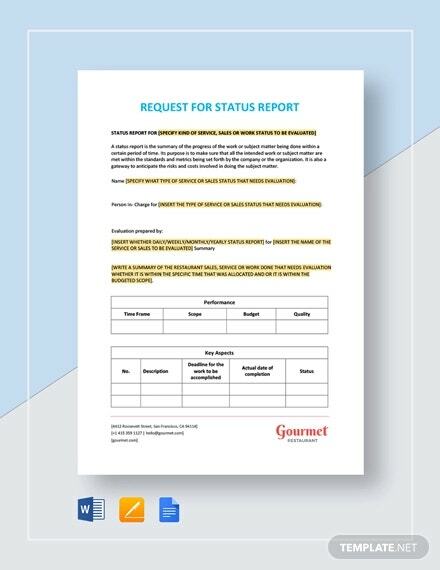 You can use a status report template for just about any data type recording. 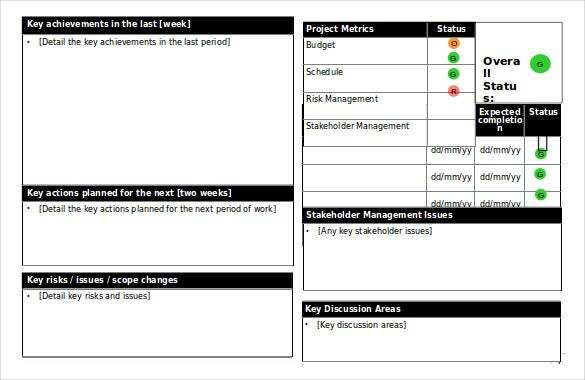 You can use it to indicate the status of your project, assess the health status of a business, or just about anywhere that you may find the template useful. Simply download the free report template and enjoy the benefit of convenience. The attractiveness of the Executive Status Report Templatelies in its simplistic design. If you are someone who has a strong detest for gaudy designs then this template will certainly impress you. Just because it’s simple, it’s not bland looking. Attractive colors have been used to highlight important categories of the report, which offers the entire document a vibrant touch. 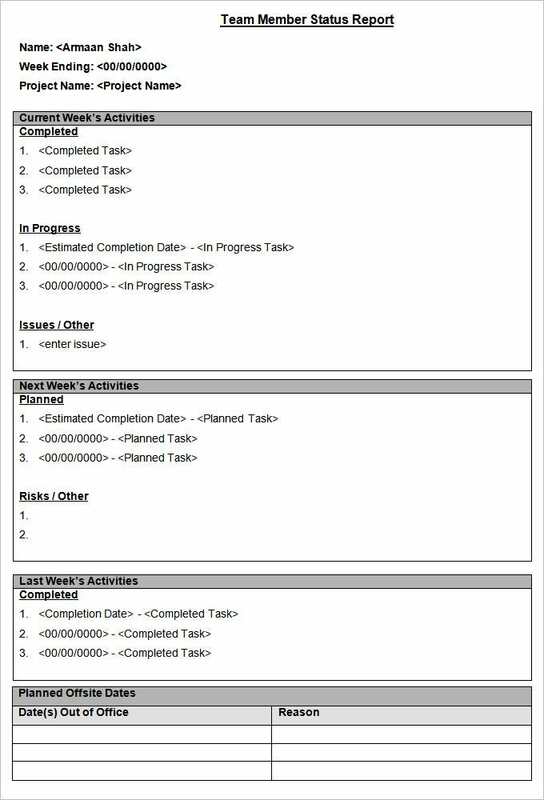 What is unique about this template is that it can be used to document individually the work status of a given project’s team members. 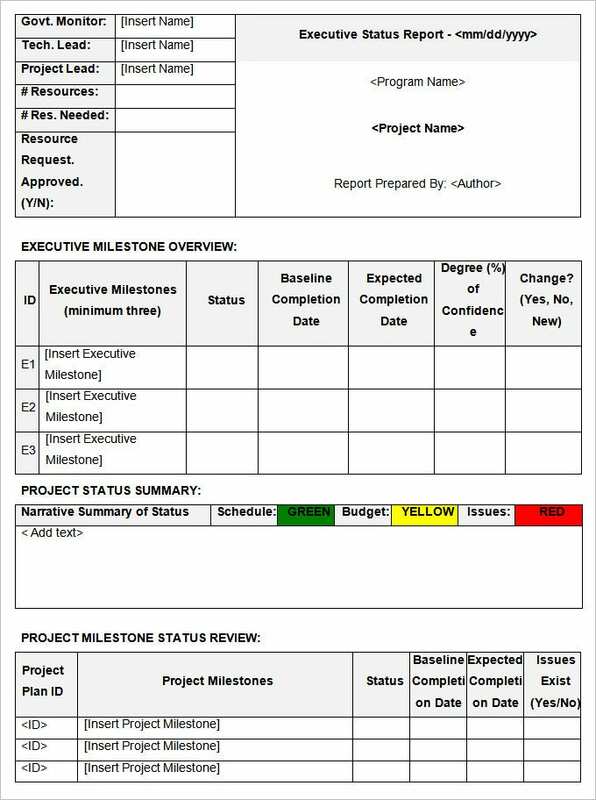 Everything starting from the tasks completed to those in progress can be documented with the help of aTeam Member Status Report Template. Besides, the particulars have been enclosed inside small boxes, which offer the document a neat look. chuckmorrison.files.wordpress.com | The first thing that appeals about this document is its availability in compatible formats like pdf. This makes it a must-have for all kinds of users. Secondly, it’s a colorful document, best suited for people who loathe bland and boring content. 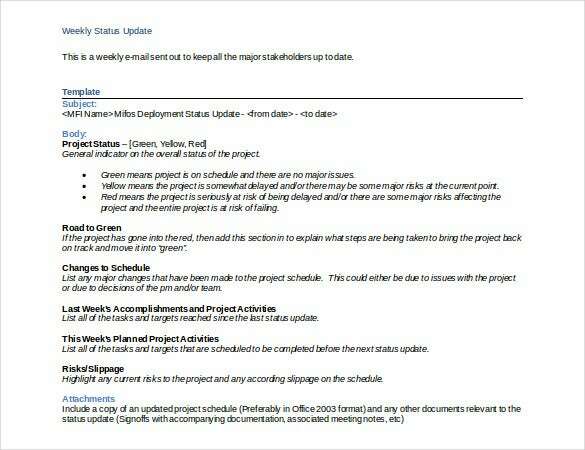 And thirdly, this Project Status Report Template comes with instructions regarding how to fill out the sections provided in it. 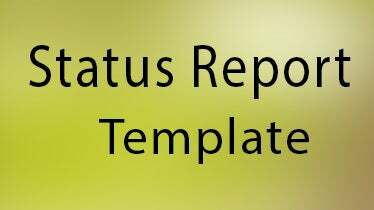 Status report is a concept which is associated with many different fields like law, education, business etc. To state in simple terms, it is an account of the present situation of something. In business parlance, it is mostly used to state the current status of a project that’s underway. 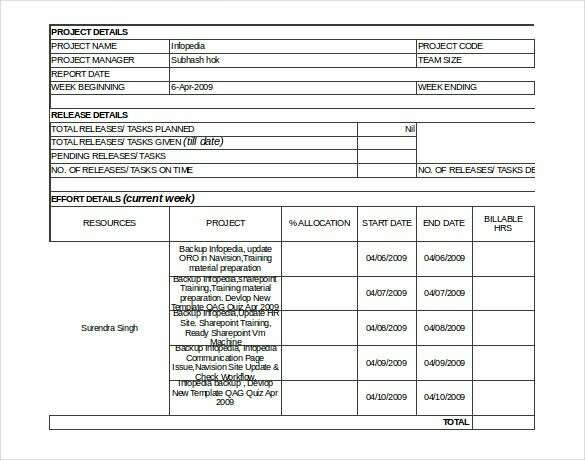 So, if you are preparing a status report of some project then following the status report templates available online for download will help you immensely. The most important benefit is that you will get a ready-made format to refer to. Also, you will save on a lot of your precious time. You can get loads of Status-Report-Templates upon a sincere search online. And there are hundreds of sources available to choose from. Hence, you may feel a little confused as to which one would fulfill your requirements. But if you have that eye for perfection, you won’t take a lot of time to narrow down the choices. If you have any DMCA issues on this post, please contact us! Gap Analysis Template – 17+ PDF, WORD Documents Download!